While it's sad to say goodbye to National Poetry Month, the celebration is still going strong here at Today's Little Ditty with the launch of the Ditty of the Month Club (DMC). A warm welcome to all new members! (Yes, YOU!) 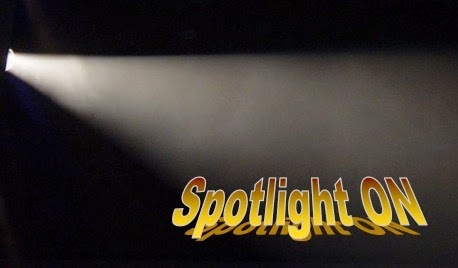 I'm thrilled to introduce Laura Purdie Salas as our inaugural Spotlight ON featured author. 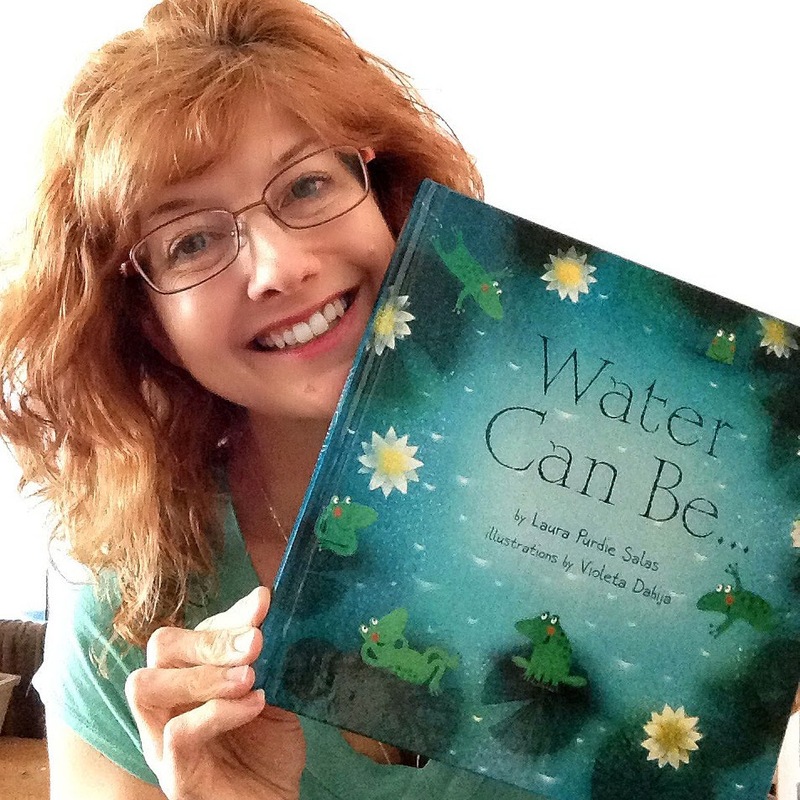 Laura Purdie Salas is the author of more than 120 books for kids and teens, including WATER CAN BE..., A LEAF CAN BE... (Bank Street Best Books, IRA Teachers' Choice, Minnesota Book Award Finalist, Riverby Award for Nature Books for Young Readers, and more), and BOOKSPEAK! 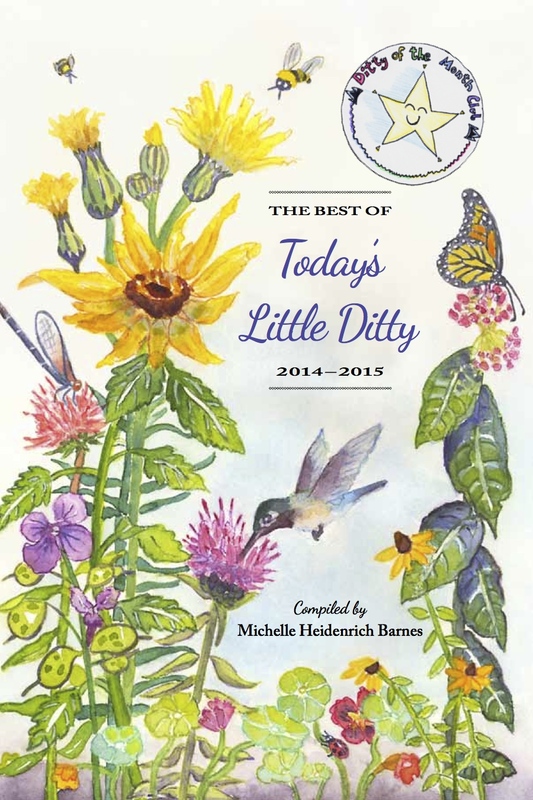 POEMS ABOUT BOOKS (Minnesota Book Award, NCTE Notable, Bank Street Best Book, Eureka! Gold Medal, and more). 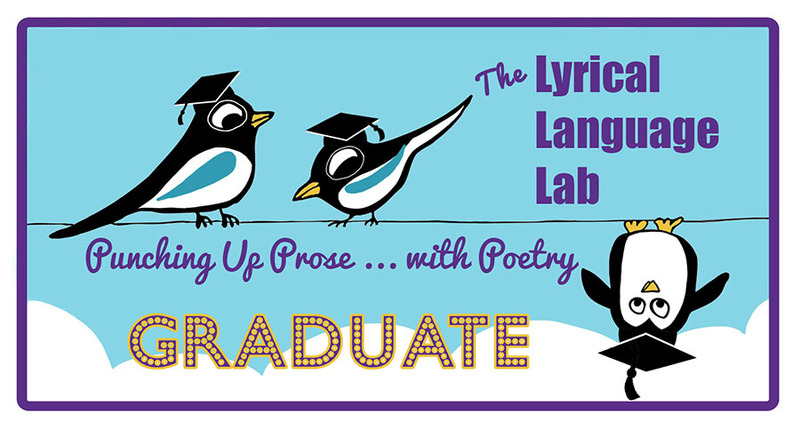 She loves to introduce kids to poetry and help them find poems they can relate to, no matter what their age, mood, and personality. She has also written numerous nonfiction books. See more about Laura and her work at www.laurasalas.com. 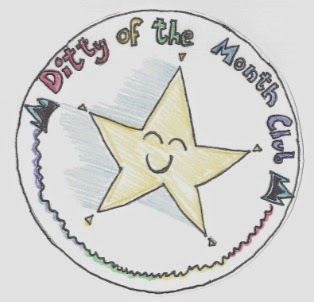 So sit back, enjoy today's interview, and help me thank Laura for the ditty love by participating in this month's DMC challenge! It's always fun to connect with a person by discovering their favorite things. What are some of yours? What inspires you to write for children and what do you enjoy most about being a children’s author? Children's books just connect more to my heart than adult books do. I wrote a really bad mystery novel for grownups early on. It was very mechanical – I just didn't care about it. I think it's because books were my whole world when I was a kid, and I love the idea of being part of other kids' worlds today. 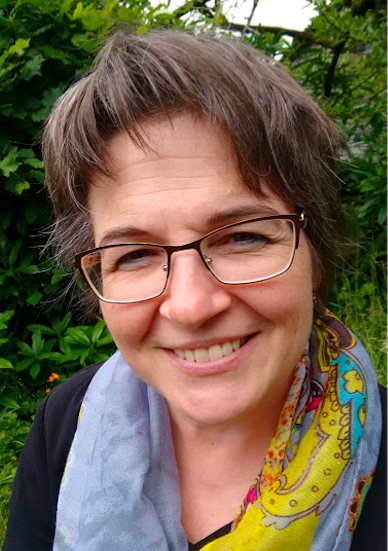 What I enjoy most about being a children's writer is 1) the small amount of time when I get to actually WRITE – first drafts are the most fun; 2) talking to kids about books and words and what they love; and 3) connecting with educators and seeing their passion for connecting books and kids. Give us a peek inside your “writing zone” – when, where, how do you do your best work? At home, I write at the kitchen table a lot. Very ergonomically incorrect! But I like to be able to open the blinds just a touch and see the sky. If I open them all the way, I get too distracted! But slices of sky are nice. Sometimes, when I'm feeling relaxed, I'll light a candle (real or electric). Flickering lights are lovely to write by. I write mostly on my laptop. I am not a lover of longhand – my fingers can't keep up with my thoughts! But I also love that poetry is so portable. I write poems on the fly a lot. 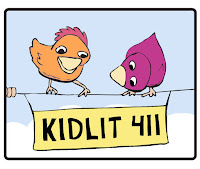 I wrote almost all of the riddle-ku for my Poetry Month blog celebration while I was on a weekend trip to the North Shore of Lake Superior. I wrote in the car, on the couch, at a restaurant. I just scribbled in my little tiny notebook or in the Notes feature on my iPhone whenever something struck me. I'm most creative in the morning, but many years of parenting and freelance writing have trained me to grab that quiet 15 minutes of writing time whenever it appears! 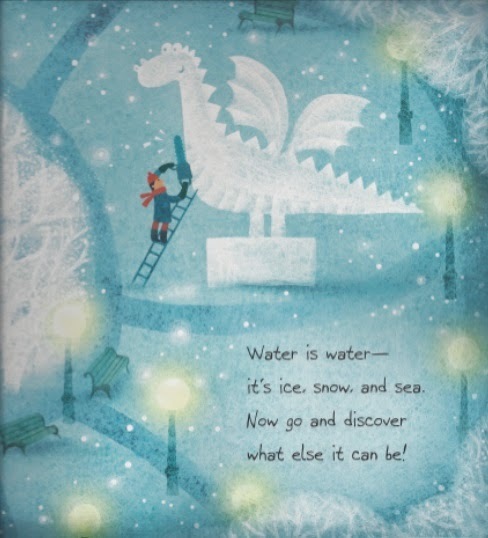 Where did the idea to write WATER CAN BE come from and what do you hope children will take away from your book? I had so much fun with A LEAF CAN BE..., and I wanted to do a follow-up. I wrote A RIVER CAN BE..., but my editor said it wasn't universal enough. So I switched to all forms of water. I grew up in Florida and have always been a water baby, so I had the best time ever submersing myself in water forms and memories and research to write this book. I hope kids will take away a new appreciation of water, and a realization that it plays a role in everything they do! I want kids to love and value water and also to realize that if they look closely at common things, they'll discover aspects of them they never knew before. What about WATER CAN BE... makes you the most proud? I think I'm most proud that I'm donating a percentage of my royalties to WaterAid, a wonderful water charity. I haven't done anything like that for any of my previous books. I know it won't be any huge amount, but it makes me feel good to take a little concrete action! it's ice, snow, and sea. It gives me hope that the book will inspire kids to take action, to explore the world, to think! If you were a source of water, what would you be and why? There is SO much in the world that you haven't seen yet – things you will love and be fascinated by, things that will change your life. Books can be a tiny preview of all the wonderful places and things you might connect with in the future. 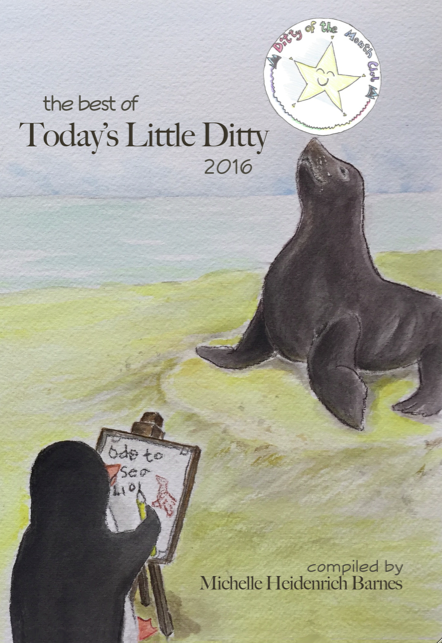 Finally, tell us what you've chosen as this month’s ditty challenge. I have chosen the cinquain, the 5-line form with 2-4-6-8-2 syllable count. There are different ways to write cinquains – my two favorite versions are the ones that either start with an object and then define or describe it in various figurative ways and the ones that describe a thing or a scene, capturing a moment, and then offering a twist or extra oomph in the last line. Of course, people can do whatever they want within those 5 lines! And to make it more challenging, I'm going to ask your readers to write about water – preferably a specific memory related somehow to water. Right off the bat, I'm thinking of the time we bought my daughter goggles because she forgot to bring hers to the beach, and then she lost her new, overpriced ones on the very first wave she dived into. And I'm thinking about when I was 11 and was playing marco polo at the pool with a boy I had a crush on. And I'm also thinking about when I went with my best friend on a family vacation in 4th grade to the North Carolina mountains, and we "rode" down a river in our jeans, over all the slippery rocks, right to the top of a waterfall. Oh! I have some work to do! And that's not even getting into the alligator poems I could write – shudder. Can't wait to see what everyone comes up with! I hope many of you will join in the splashtastic fun! Use the contact form in the sidebar to the right to send me your cinquains throughout the month. For children under 13 who would like to participate, please read my COPPA compliance statement located below the contact form. Several poems will be published on the blog as daily ditties, but all of them will be collected in one wrap-up post on Friday, May 30th. And just in case you need a little push to get your feet wet, Laura has graciously offered to donate a personalized copy of WATER CAN BE... as a giveaway! All participants will be eligible for this random drawing at the end of the month. Katya is hosting today's Poetry Friday roundup at Write. Sketch. Repeat. This is going to be fun, Michelle, to read what others will do with the challenge throughout the month. I'm happy to hear more about Laura, and you're right. Laura is such a welcoming person! I had the pleasure of eating dinner with her at NCTE, and getting a first look at the art of Water Can Be-a love time and marvelous book. Thanks for starting something new! What a treat! I'm still waiting for the day I get to meet one of my PF friends in person... I know it will happen eventually! I have written only one cinquain in my life, and it happens to feature rain! Sadly, I can't find it. Guess I'll just have to write another one. Great new series, Michelle! And thanks for this lovely interview with the ever-delightful Laura. Laura - why didn't the AIR book fly? Did you pitch FIRE or other elements? This is such a beautiful series, and I'm curious why one subject gets a yes and another a no. Huzzah for ROCK and congratulations!! I agree, Renee, AIR sounds like a winner to me as well. Laura is getting a lot of nice recognition for these books... maybe someone will change their mind down the road. BTW, looking out my back window yesterday, a cinquain about rain would have been just what the doctor ordered-- looking forward to whatever you come up with! What a fabulous interview. Laura is such a gem. I just realized that I haven't read Water Can Be yet. I do use Bookspeak though in my class of higher-degree students to share some booklove. :) Thank you Michelle for this series of features. Truly looking forward to it. Water Can Be... is magical. Especially when you see the actual book (not on screen). 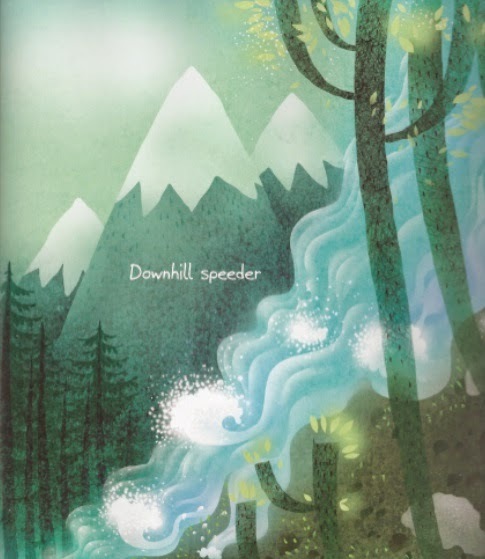 The depth of the illustrations, combined with Laura's well-chosen words, really draw you in and transport you. I wait with much anticipation for Rock Can Be! Too bad about air, but a series of three feels just right in a "literary magic number" sort of way. Excited to take part in the cinquain challenge. Most of my early water memories are from the swimming pool, but then there's the time we helped horseshoe crabs back into the ocean, and of course all the standing-in-a-river fly fishing memories. Hmm...probably more than one poem there. Off to get started! Ooooooh, can't wait to see what memories you bring to life, Mary Lee! Such a lovely collection of poems! And thank you Michelle for this interview, too - always wonderful to learn about people we admire. How I wish we could all get to know each other better over Sunday brunch! LOL! Put me on the wait list for Ununquadium Can Be! HA, Matt! That would terrify me. I'm loving Laura these days. She stopped by and left a poetry hug on one of my students' poems this week. I need to get my feet wet with a cinquain and will invite my students into the pool, too. What a thrill for your student! Thank you for inviting your classes to participate. My daughter's teacher said she would spread the word as well. I would be so tickled to get some student contributions! What a terrific interview, Michelle! I can't wait to get my hands on Laura's new book. The previews you included here are gorgeous! I don't think I've ever tried a cinquain, but this sounds like fun. Laura is awesome...a jewel! Thanks for the fun interview, Michelle. 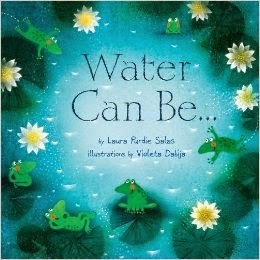 I can't wait to read Water Can Be. I'm sure you will love WATER CAN BE..., Penny. Thanks for dropping by! Love hearing more about Laura and her work. I enjoy the challenge of the cinquain and the connection to water! If I can I will give it a go. Thanks, Michelle and Laura. I hope you do, Janet! May DMC Wrap-Up + Giveaway!